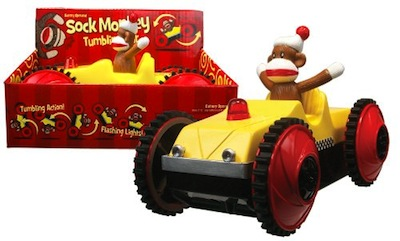 Whimsical Sock Monkey is at the wheel of his very own "unstoppable" tumbling car. When it encounters an obstacle, it does a back flip, spins, and rolls off in another direction. Red blinking hood light and 4x4 rubber wheels.